Pituitary tumors are among the most common intracranial tumours occuring in a variety of sizes from small, hormonally-active microadenomas to the larger, non-secretory macroadenomas. Most of them (more than 90%) are benign tumours which are slow growing. About 5 to 10% are a little more aggressive and less than 1% are malignant pituitary carcinomas. As the numbers indicate, a lot of these tumours are small and don’t have any noticeable symptoms, thereby leaving normal life largely unaffected. In fact, nearly 20% of people have pituitary tumours but many go through their whole lives without having them diagnosed. Those which do grow though can have serious effects considering the critical nature of the pituitary’s functions. They require surgery without delay! Traditionally, surgery to this part of the brain and to the base of the skull was extremely challenging. Accessing the tumours because of the location was so difficult that success rates were very low. 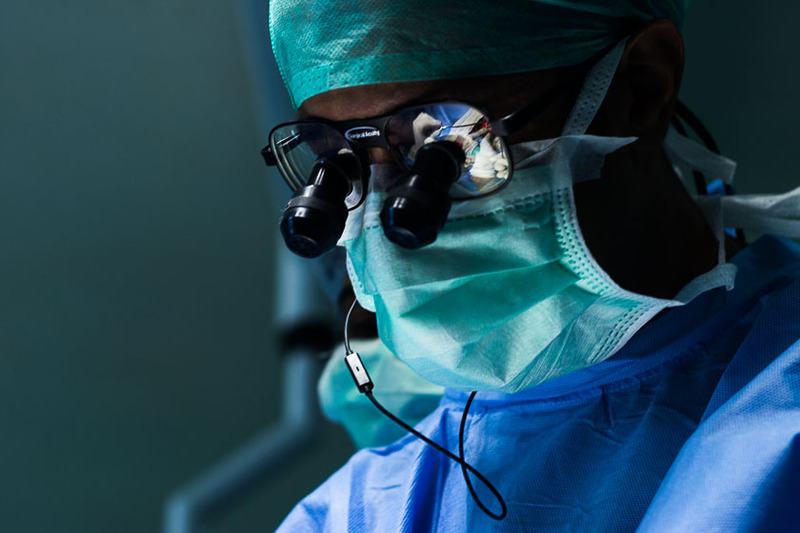 All that has changed thanks to modern technology and medicine and today surgeons enjoy a very high degree of success in treating pituitary tumours through the endoscopic endonasal approach. In fact, today most such tumours are accessed and excised using this approach. Cerebrospinal fluid is mainly contained between the arachnoid layer and pia mater. An arachnoid cyst may form when layers of the arachnoid membrane split apart and become filled with cerebrospinal fluid. In extreme cases, cysts have been known to cause a change in the shape of the head or displace surrounding lobes of the brain. The preferred surgical treatment for certain arachnoid cysts of the skull base is the Endoscopic Endonasal Approach (EEA). Chordomas are rare, slow-growing tumours which develop from the remnants of notochord (which precedes the spinal column during embryonic development). Chordomas account for just 1% of central nervous system cancers and are usually found in adults between 40 and 70. While chordomas can occur at any site along the axial skeleton, they are most often found at the base of the spine (sacrum), tailbone (coccyx) and base of the skull (clivus). Chordomas rarely spread (metastasize) but are aggressive locally., affecting adjacent organs, tissue and bone. Symptoms of chordomas may include back pain, numbness, headaches and problems with vision. Treatment for chordomas vary and can include surgery (via the Endoscopic Endonasal Approach), chemotherapy and radiation. Craniopharyngiomas of the skull base are benign (noncancerous) tumors that grow in the area of the pituitary gland and are most often found in children. In fact, nearly half of all craniopharyngiomas develop in people below 20. The preferred surgical treatment for craniopharyngiomas of the skull base is the Endoscopic Endonasal Approach (EEA). Cushing’s disease is a condition caused by chronic exposure to elevated levels of the hormone cortisol (hypercortisolism) due to a pituitary tumour. There are 2 primary types of invasive fungal sinus infections – acute and chronic. The acute version is more serious and mostly occurs in people with compromised immune systems. While fungi usually feed on dead organic matter, weakened immune systems allow fungi to begin eating live tissue. As the fungus reproduces, it spreads into blood vessels, the eye region and central nervous system with lethal effect. Acute invasive fungal sinusitis is a rare condition with a high mortality rate. Fungal infection of the sinuses might occur when fungal organisms are inhaled and deposited in nasal passageways and paranasal sinuses. This causes inflammation. The dark, moist environment of the sinuses is ideal for fungi to reproduce without light or food. Most fungal infections of the sinuses are non-invasive i.e. they won’t spread to surrounding tissue. While symptoms are similar to a sinus infection (congestion, facial pain, swelling and discharge), patients may be severely ill. Patients with chronic invasive fungal sinusitis may have symptoms of a long-standing sinus infection such as congestion, drainage and pressure in the forehead, nose, and behind the eyes. The preferred surgical treatment for invasive fungal sinusitis is the Endoscopic Endonasal Approach (EEA). Treatments for meningiomas vary depending on type and location. The nasopharynx is located behind the nose and above the back of the throat. On each side of the nasopharynx are the Eustachian tubes which connect to the ears. Nasopharyngeal cancer typically arises in the thin lining of the nasopharynx in the space behind the Eustachian tubes. It is more common in Southern China and most often found in men. The preferred surgical treatment for NPC is the Endoscopic Endonasal Approach ODONTOID PANNUS (Rheumatoid Pannus, Odontoid Synovial Cyst) Odontoid pannus is abnormal tissue that grows in the region of the odontoid process – a toothlike projection at the back of the second cervical vertebra which serves as the pivot for the turning of the head. This membrane of granulated tissue forms most often as a result of rheumatoid arthritis, in which the condition is called a rheumatoid pannus. Odontoid pannus may also develop due to severe trauma to the neck at the second cervical vertebra. A similar (although rarely diagnosed) condition which has similar symptoms and treatment is the odontoid synovial cyst. Rheumatoid arthritis (RA) is a progressive auto-immune disease that causes chronic inflammation of the joints. When it attacks, it usually begins in the synovium – a kind of tissue that lines the joint capsule. Cells in the synovium begin to grow and divide abnormally (synovitis) causing a thickening of the synovium resulting in an inflamed and swollen joint. As it progresses, the synovium can grow larger and form an inflamed, granulated sheet of tissue called rheumatoid pannus. This tissue will spread from the synovial membrane, causing considerable destruction as it invades the subchondral bone. Symptoms of cervical–spinal abnormalities develop in approximately 60% to 80% of patients with rheumatoid arthritis. When RA invades the cervical spine, the resulting extension of pannus into the spinal canal may compress the brain stem, spinal cord and vertebral arteries causing severe pain and disability. Left untreated rheumatoid pannus can even result in sudden death. An instability of the joints results in progressive deformity. Generally, in order to stabilise the joints, cranio-cervical fusion is recommended. If the patient suffers from compression of the spinal cord or brainstem, surgery to decompress them is recommended. In these cases, the Endoscopic Endonasal Approach is best. Sometimes a tumour or bony structure may compress the optic nerve thereby affecting its performance. In the course of time, it can even lead to the ‘death’ of the optic nerve, a condition also called optic neuropathy. The most common symptom of this is a gradual loss of vision. Treatment for this would be decompression of the optic nerve using the Endoscopic Endonasal Approach (EEA). This is a chronic condition wherein there is an inflammatory reaction in the orbital tissues surrounding the eyes, which behaves a lot like a brain tumour. Since it is not a tumour, it does not spread or invade adjacent or nearby tissue but, it can compress surrounding structures. Orbital inflammatory pseudotumors might resolve with steroid treatment or on their own. Pituitary apoplexy is a medical emergency which can be fatal if left untreated. However, with treatment the prognosis is good. The preferred surgical treatment for pituitary apoplexy is the Endoscopic Endonasal Approach to remove the tumor and decompress the area. 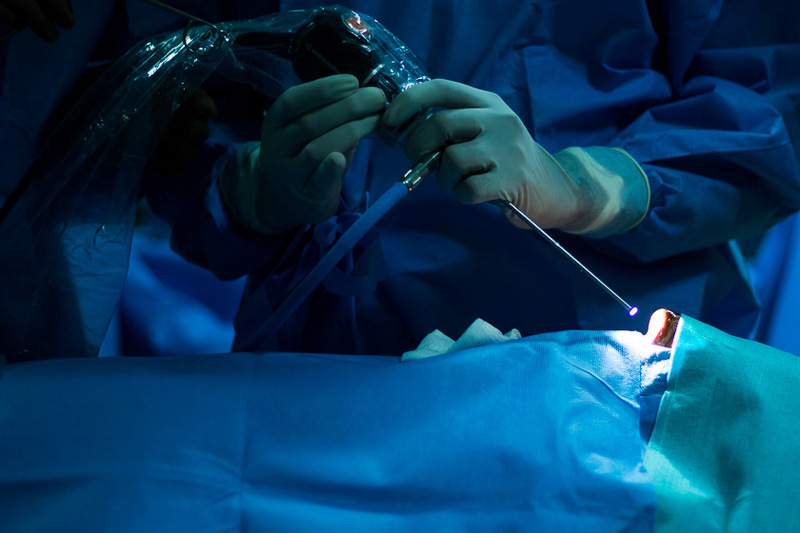 Surgery is performed after medical stabilisation. Click here to read about how surgeons at Sita Bhateja Speciality Hospital saved Nagaraj from pituitary apoplexy. This pressure results in associated symptoms. Rathke cleft cysts are very similar in presentation and origin to craniopharyngiomas. The difference is that craniopharyngiomas grow by cell division and fluid accumulation, whereas Rathke cleft cysts grow only by fluid accumulation. The preferred surgical treatment for Rathke cleft cyst is the Endoscopic Endonasal Approach (EEA).